Coyote urine? Is it as simple as it sounds? Pretty much. But before you head out for a day of urine browsing there are some basics that you need to know. Is coyote urine… well is it really coyote urine? What is it used for? How do I use it? How much does it cost? Welcome to your friendly guide of answers. 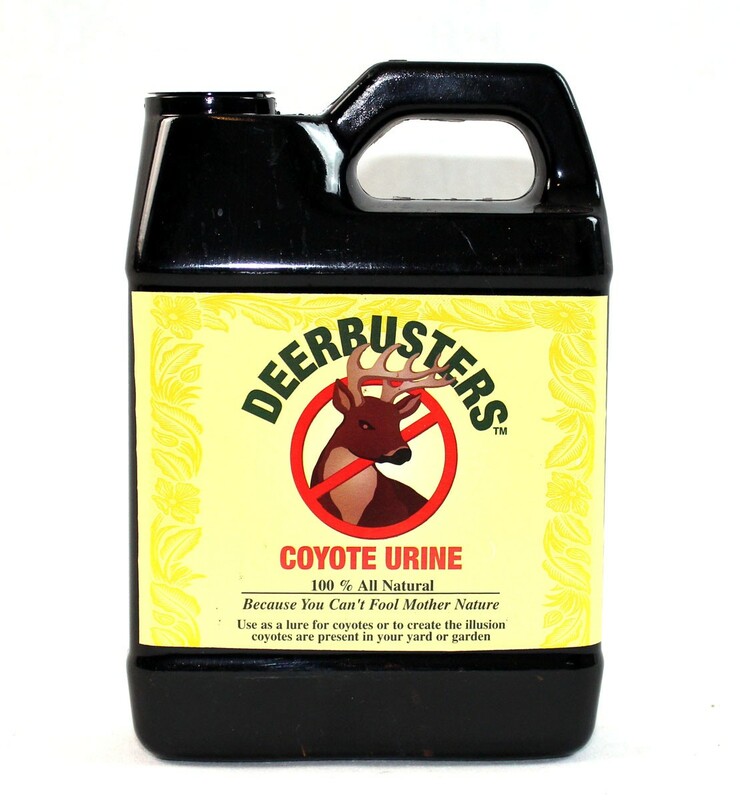 Although there are synthetic versions of animal urine, most markets advertise 100% or pure coyote urine. In a relatively rudimentary arrangement, zoos and game preserves collect urine from beneath the living area of the coyote. The urine is then sent to companies who bottle and sell it to us, the consumer. The good news is that we ultimately have a completely self-sufficient producer. As long as the coyotes are fed and nourished we have a replenishing resource for customers. This brings us to the purpose of buying urine. Why do we have avid coyote-urine-purchasers? Let us diverge for one moment and reflect on a similar yet more common example. If you have ever owned a dog think back to times when your pet entertained company or felt threatened by other animals. Does the expression, “He’s just marking his territory” sound familiar? When animals feel that their domain is being inhabited by other animals they will sometimes mark, or pee, in order to declare their dominance over that acreage. Thus, coyote urine is often used as a repellent against the intrusion of dangerous or pesky animals. By using the urine, other animals like deer, raccoons and possums will sense the after-presence of a coyote and will most likely steer clear of your yard. If you are a gardener, the use of animal urine might be especially helpful to ensure that your plants go unharmed during their growth. Coyote urine can be used basically in any area that you desire further protection. It is recommended to make use of it around the perimeter of your lawn. If you have cultivated shrubs or trees as a border to your landscape, utilize the urine around those plants. Some strains will recommend that you spray them directly on plants or vegetables that you are afraid might be eaten by other animals. As a natural product of animals, coyote urine should not harm your plants and will be essentially unnoticeable by you. The amount that you purchase varies by manufacturer ranging from 8oz containers to special package promotions totaling close to 80 oz. The containers vary as well between squirt and spray bottles. The price can be anywhere from around five bucks for 8 oz bottles to 20 dollars for 12 ounces. As a general rule of thumb, legitimate companies are selling the same product. If it says pure urine it should be just that. If you’re getting the real stuff then look around for a good bargain. Happy hunting!